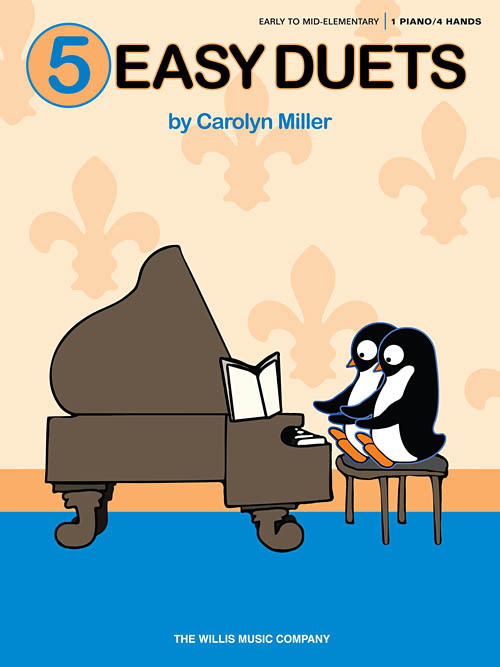 Kids of all ages will love performing these simple, winning duets by Carolyn Miller! When young students perform collaboratively it encourages listening and social skills from the earliest level, and any of these five easy equal-part duets would contribute to a wonderful ensemble experience. Titles: Clap Your Hands • Hopscotch • Autumn Waltz • The Penguins • The Traveling Caravan.